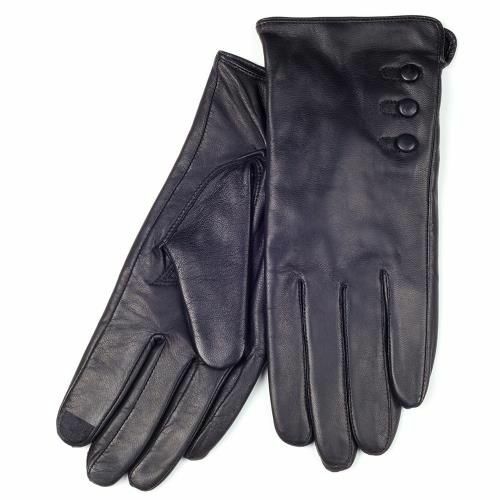 These luxury genuine leather touch screen gloves by Totes Isotoner feature conductive thread woven into both thumbs and index fingers, which conveys the electrical impulses from the wearers finger to the touchscreen. They have a genuine leather upper with an elasticated cuff for a snug fit, and are fleece lined for extra warmth and comfort. These gloves allow you to easily operate handheld and other touchscreen devices while wearing the gloves, including mobile phones, MP3 Players, cashpoints, tablet computers, and satellite navigation devices. The gloves were a perfect Christmas gift. They matched their description perfectly. Beautiful leather and a great match to the size described. I would certainly purchase them again. 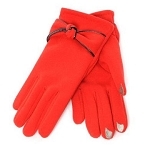 bought these as Xmas present for lady with very small hands - difficult to get gloves to fit - they fitted beautifully. quality seems good but might be nice if more fingers were sensitive. Delivered promptly, despite Xmas rush do good service from company.